Grr......I can't see the pic at all, I'll try again later, thank you anyway nick. I have trying to find some pics from both the cruise and his time in london shooting of Jim and I can't find any! she looks as though she could squash him like a gnat........ and he looks as though he's enjoying it!! Eva there were none of JC in London at all just a few twitter pics from some of the guests at the boat party seems he came and went in days. 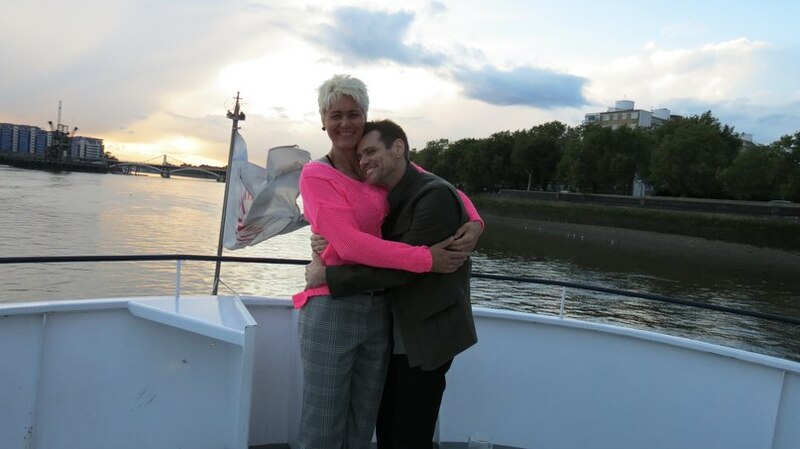 carreylegend wrote: Eva there were none of JC in London at all just a few twitter pics from some of the guests at the boat party seems he came and went in days.